In a true crossroads fight featuring longtime welterweight contenders, Pablo “El Demoledor” Cesar Cano (30-5-1, 21 KOs) pulled out a split-decision victory over Mauricio “El Maestro” Herrera (22-7, 7 KOs) in an exciting 10-round battle at Fantasy Springs Resort and Casino on Estella TV’s Boxeo Estelar. VIP guests for the stacked card included Chairman and CEO of Golden Boy Promotions Oscar De La Hoya, Former Five-Time World Champion Vinny Paz, Mexican Actor and Model Gabriel Soto, Jesus “Renuente” Soto Karass, Angel Bojado, Vergil Ortiz Jr., Joseph “Diamante” Aguirre, and Luis Coria. In a back-and-forth brawl where Cano had two points deducted for low blows, Cano secured the victory with two judges giving him the nod 97-91, while a third judge scored the bout 95-93 for Herrera. In the co-main event, KeAndre “The Truth” Gibson (16-0-1, 7 KOs)of Las Vegas faced a massive test against seasoned ring veteran Mahroni “Ruso Jr.” Montes (30-6-1, 21 KOs) of Los Mochis, Mexico in an eight-round welterweight battle that went the distance. The fighters came forward aggressively in the ring, both seeking opportunities to break through their opponents. In the second round, Gibson lost a point for a low blow. The resilient Montes was able to bounce back, with an incredible inside game and head movement that gave Gibson trouble, however Gibson’s speed and impactful power punches proved to be too much for Montes. The judges scored the bout 77-74, 78-73, and 79-72, handing Gibson the win via unanimous decision. Opening up Estrella TV’s Boxeo Estelar telecast, Pittsburgh’s Morgan Fitch (18-0-1, 8 KOs) also went the distance against Baton Rouge’s Travis Scott (19-2, 5 KOs) in a six-round super middleweight bout. Fitch’s powerful right hand clashed with Scott’s massive counterpunching talent, and became more aggressive as the fight progressed. The judges scored the bout at 58-56, 59-55, and 57-57 respectively in favor of the “Chief” Fitch, who maintains his undefeated status with the majority decision win. Closing out the Ring TV portion of the night with a scheduled six-round battle, Oscar Duarte (8-0-1, 4 KOs)from Parral, Mexico battled fellow Chihuahuan Rony Alvarado (9-9, 5 KOs). The heavy-hitting Duarte was able to cause serious damage to Alvarado by effectively landing his power punches, leading to the stoppage in the fourth round where a tough body punch caused Alvarado to fall and forced the referee to call the fight. The undefeated Duarte took home the victory via technical knockout. Red-hot prospect Cesar Diaz (3-0, 3 KOs) of Palmdale, California dueled in a super bantamweight fight against Tabasco, Mexico’s Jose Naranjo (3-5-1, 1 KO) for two out of the four scheduled rounds. Diaz was able to land a body punch that hurt Naranjo at the beginning of the second round, finishing the job with a right hook, ending the fight at the end of the round. Diaz maintained his undefeated status, taking the victory via technical knockout. Joshua “The Professor” Franco (8-0, 4 KOs) of San Antonio, Texas went the distance with rugged Nogales, Mexico’s Felipe Rivas (19-17-4, 12 KOs) in a six-round bantamweight brawl. Both fighters were resilient, withstanding the tough exchanges. Mid-fight, Rivas couldn’t take the heat, hitting the mat at the third round. The resilient Rivas was able to bounce back and make it through the rest of the bout. All the judges scored the bout unanimously at 60-54, with Franco gaining the hard-fought victory. 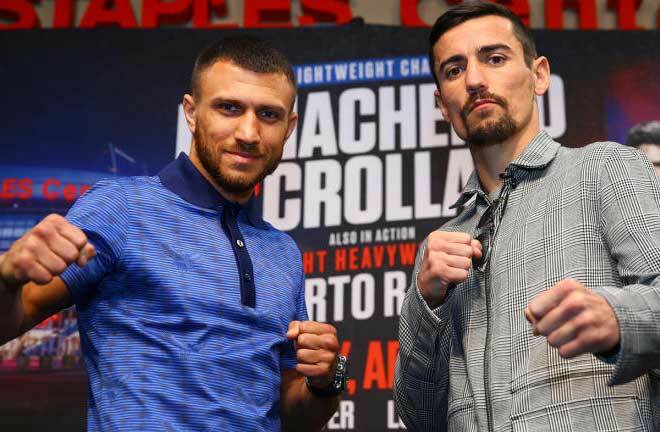 Marvin Cabrera (2-0, 2 KOs) of Los Angeles, California dominated Atlanta, Georgia’s Steven Andrade (2-2, 1 KO) in a four-round middleweight fight, in which he sent Andrade to the mat twice in the second round. Andrade’s corner threw in the towel before the third round commenced, giving Cabrera the victory via technical knockout. LAS VEGAS (November 19, 2016) – The incredible journey of Demond “Body Shot” Brock continued last night (Friday) in the “Knockout Night at the D” main event on CBS Sports Network that aired live from inside the Downtown Las Vegas Events Center tent. 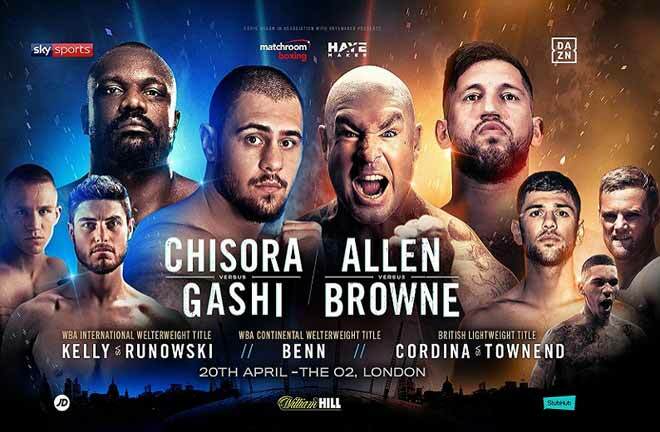 FloBoxing.tv live streamed this evening’s undercard worldwide, as well as the three main card bouts, excluding North America. The “Knockout Night at the D” series, presented by the D Las Vegasand Downtown Las Vegas Events Center, is promoted by Roy Jones Jr. (RJJ) Boxing Promotions. Brock predicted that fans would see a completely different fighter, after being trained for this fight by future Hall of Famer and 10-time world champion Roy Jones, Jr. Brock threw effective punches in bunches, aggressively fought inside against the taller Blanco, and he outworked the Dominican who suffered a cut over his left eye midway through the fight and had his right eye swell a few rounds later. Mexican upset specialist Norberto “Demonio” Gonzalez (22-3-8, 13 KOs) did his thing in the co-feature, taking an eight-round split decision (76-75, 76-75, 74-77) from Puerto Rican junior middleweight Daniel “El Duro” Rosario (11-2, 10 KOs). In the television opener, red-hot junior featherweight prospect Randy “El Matador” Moreno (7-0, 6 KOs) remained unbeaten, outclassing Daniel Perales (7-6-1, 4 KOs) from the opening bell until referee Russell Mora stopped the fight at the request of the corner in the fourth round. 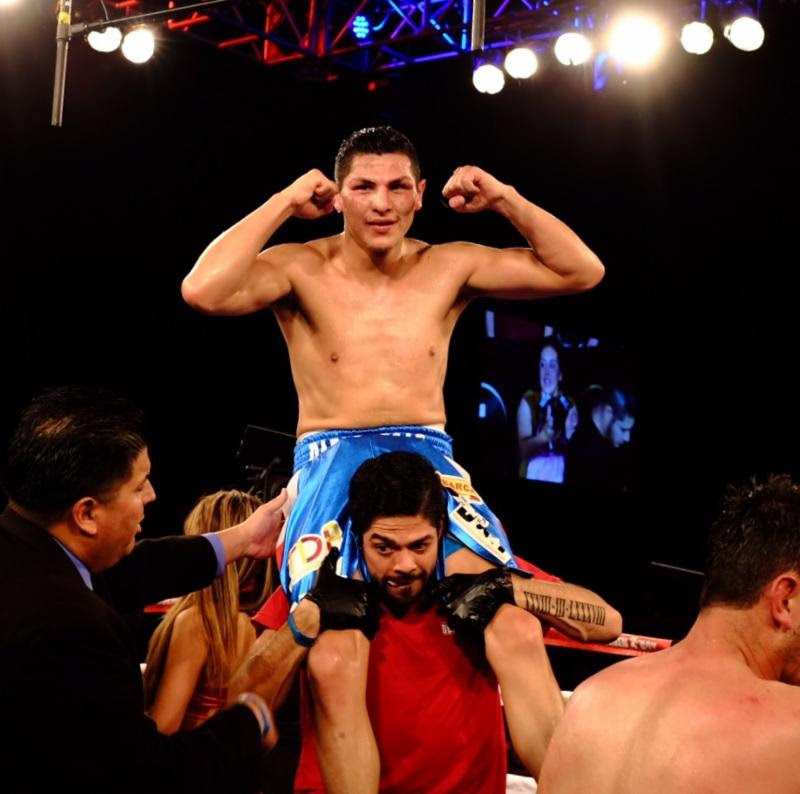 Using his height and reach advantage once again, the 20-year-old Moreno, fighting out of Las Vegas, continued to show steady overall improvement in his first scheduled six-round bout. Undefeated New York junior flyweight Natalie “Tuffie” Gonzalez (3-0, 1 KO) unloaded a big right-hand to register her first professional knockout as previously unbeaten Marina “Rockie” Ramirez (2-1) beat the count but referee Kenny Bayles halted the fight. In a spirited junior featherweight fight from start to finish, Juan “Ciclon Junior” Sanchez (2-0, 1 KO) won a hard fought four-round unanimous decision over a game Javier “Lights Out” Cepeda (0-3). Puerto Rican cruiserweight Kenny “El Indio” Cruz (1-2-1, 1 KO) ruined the pro debut former UNLV football player Jason “The Blaze” Beauchamp, unleashing a barrage of unanswered punches for a knockout win only 1:11 into the opening round. With Jones working his corner, Swedish middleweight Shady Gamhour (1-0, 1 KO) turned in an impress pro debut, stopping David De La Cruz (0-1) in the third round. Resort Casino, in Mashantucket, CT, with another action-packed installment of its popular Broadway Boxing series, presented by Cedars Mediterranean Foods, Nissan of Queens, Azad Watches, OPTYX, and Christos Steak House. The main event featured heavyweight prospect Alexis Santos, 225, of Lawrence, MA, meeting local rival Jesse Barboza, 251, of Hyannis, MA, in a long-awaited scrap, with the vacant New England heavyweight championship at stake. What transpired was a thrilling slugfest that lasted all eight scheduled rounds, with fans cheering on their feet for much of the contest. Each dispensed with their jab and began throwing bombs from the outset. Santos found his target upstairs with straight rights and left hooks, while Barboza banged to the body. When Barboza did use his jab, he was able to keep Santos at bay, but he just did not use it enough. Despite the heavy artillery landing in both directions, neither fighter hit the canvas. Afterward, Lou DiBella, President of DiBella Entertainment, hailed the bout as the best heavyweight contest in the history of the Broadway Boxing series. Santos, who won the IBO International title in his last bout in April, added the New England heavyweight championship to his collection with two tallies at 78-74, and a third at 79-73, to improve his record to 17-1 (14 KOs). Barboza is now 11-3-1 (7 KOs). Both Santos and Barboza were New England Golden Gloves champions as amateurs. Army Reserve Captain and middleweight southpaw Boyd Melson, 162, of White Plains, NY, ended an 18-month hiatus to return to the ring for one last bout. Though he was 35 years old and rusty, Melson felt compelled to fight again to help raise awareness about the heroin epidemic currently plaguing the borough of Staten Island in New York City. Throughout his pro career, Melson regularly donated his fight purses to stem cell research via the “Fight To Walk” foundation. However, he donated his purse for Saturday’s eight-round bout against Brooklyn’s Courtney Pennington, 161, to “Big Vision”, a nonprofit that helps those battling addiction. Pennington maintained control, though Melson had moments of success with right hook counters as well as double-left hooks when on the offensive. Dropped by a sharp right counter in the third and badly wobbled by an onslaught in the fifth, Melson somehow managed to survive. By this point, it was clear that Melson was tired and weakening, and in the seventh, Pennington secured a knockout with a right to the body at the 2:40 mark, improving his record to 9-3-1 (5 KOs). At the conclusion of the bout, Melson announced his retirement from the ring as well as a bid to run for Congress in 2018. Melson, who graduated from West Point as a Lieutenant, made it to the Olympic trials in 2004 and 2008 as an amateur, and won the 2004 World Military Boxing Championships as well. As a pro, Melson won the WBC USNBC 154lb. title with a victory over Mike Ruiz in May 2015. He ends his career with a record of 15-2-1 (4 KOs). In just his fourth professional bout, Russian amateur prodigy Radzhab Butaev, 151, co-promoted by DiBella Entertainment and Fight Promotions Inc. and managed by Vadim Kornilov, dominated the experienced Hungarian Gabor Gorbics, 151, of Budapest, over eight one-sided rounds to seize the NABF junior middleweight title. Butaev stalked Gorbics each frame, landing jabs and thudding left hooks downstairs to weaken his adversary. Butaev’s punch output increased over the second half as he began to throw in combination. 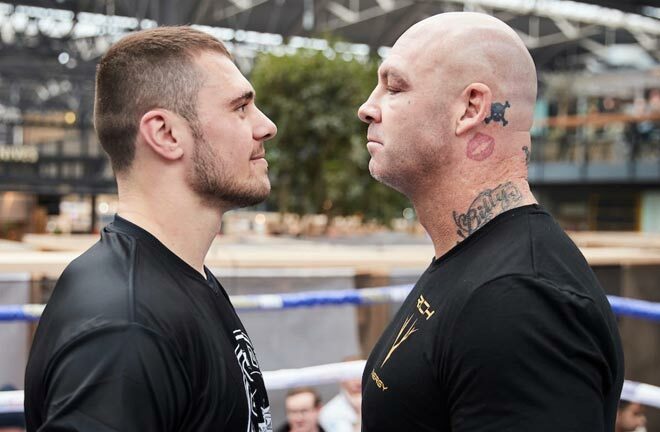 Given his experience, Gorbics, a former Hungarian junior welterweight and welterweight and Slovakian welterweight champion, who also had a 35-3 record as a kick boxer, was durable, but had little else to trouble Butaev. Gorbics was hurt twice in the seventh by left hooks and was in survival mode during the final three minutes of the contest. Three identical scores of 80-72 awarded Butaev a unanimous decision victory as his record rose to 4-0 (4 KOs), while Gorbics’ ledger dipped to 22-4 (13 KOs). The 22-year-old Butaev, born in Salsk, Russia, and now living in Los Angeles, was a highly accomplished amateur, having compiled an incredible 304-12 record, with 164 knockouts. He participated in the World Series of Boxing as well, finishing at 9-1. In his fifth straight fight at Foxwoods since debuting in April, 18-year-old Mykquan Williams, 141, of East Hartford, CT, shut out Puerto Rican Jimmy Rosario, 141, over four stanzas. Williams applied pressure, employing his straight right to the body and head consistently. A strong left hook from Williams punctuated the opening round. The local fighter caught whatever leather was thrown his way with his own gloves then would fire back with his straight right. 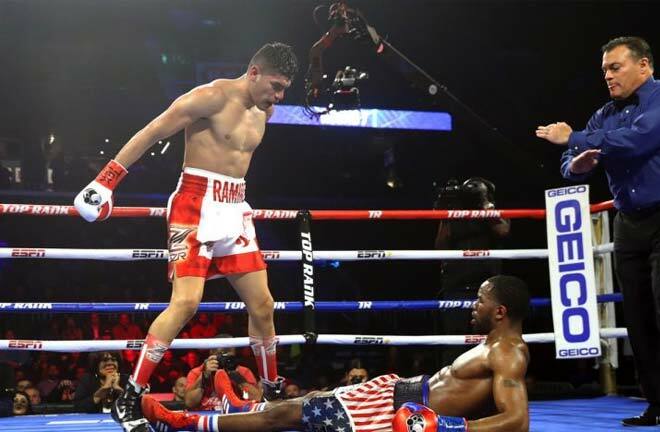 Adept at cutting off the ring, Williams punished Rosario with a sustained attack to end the third, then twice wobbled his foe in the fourth round. Scorecards of 40-36 twice, and 39-37, all for Williams, improved his record to 5-0 (3 KOs), while Rosario fell to 2-4 (1 KO). Williams was a decorated amateur with a 45-13 record, highlighted by three gold-medal performances at the Ringside World Championships, in addition to winning the PAL Tournament and Silver Gloves Championships. Former Irish National champion Noel Murphy, 144, a native of County Cork, Ireland, now living and training in Yonkers, NY, impressively outboxed the tough Mohamed Allam, 145, of Holyoke, MA, over six dominant frames. The southpaw Murphy used his speed advantage to land stinging straight lefts upstairs. Though Allam began feverishly, Murphy was in full control halfway through round two. Focusing on landing counters, Murphy skillfully used Allam’s aggression against him, finding openings to land his straight left and right hook. A jab-straight left combination by Murphy dropped Allam in the third. Counter shots by Murphy in the fourth turned into power shots in the fifth followed by combinations in the sixth. A clean sweep for Murphy with three scores of 60-53 upped his record to 7-0 (2 KOs) via unanimous decision, while Allam fell to 3-2 (1 KO). Middleweight Christopher Davis-Fogg, 160, of Framingham, MA, improved to 2-0 (1 KO) with a four-round unanimous decision over Quincy Brown, 158, of Milbrook, AL, in a battle of southpaws. Davis-Fogg kept his jab on Brown early on then began to add in his overhand left by round two. A game Brown did land his right hook in the second, though other attempts using the same punch were unsuccessful. Body shots proved effective for Davis-Fogg in the final two rounds. By round four, Davis-Fogg was landing in combination. All three judges tallied 39-37 for Davis-Fogg. Brown’s record dropped to 1-4. Davis-Fogg was a three-time Rocky Marciano Tournament winner and a Lowell Golden Gloves champion as an amateur. The stacked card at Foxwoods began with six amateur bouts presented by the National Collegiate Boxing Association (NCBA) that included boxers from the United States Military Academy (West Point), United States Coast Guard Academy, University of Massachusetts, University of Connecticut and Trinity College. 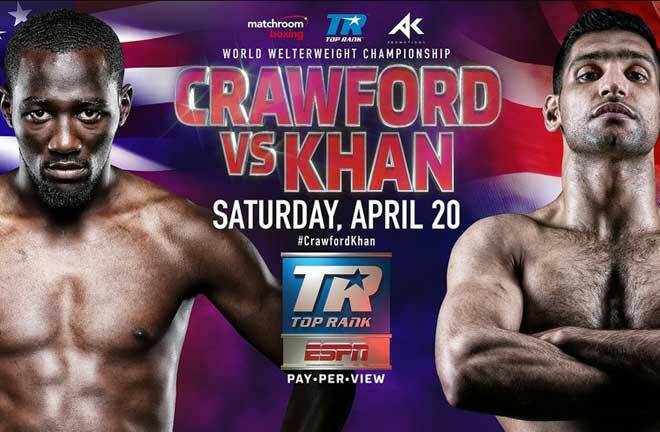 At the conclusion of the live bouts, fans in attendance were treated to a closed circuit broadcast of the Kovalev-Ward light heavyweight championship contest from Las Vegas.